2016 was a whirlwind for the mobile marketing industry. We saw more creative, integrated mobile marketing campaigns that went beyond conventional display advertising, as new technologies and innovations unlocked myriad possibilities for deeper, more meaningful consumer engagement. All through the year, mobile was consistently at the heart of the biggest changes shaking up the way marketing and advertising are done. Video inevitably shifted to mobile, with mobile phones and tablets now accounting for 46 percent of all viewing. Augmented reality is opening new doors for experiential advertising; and geo-targeting is making mobile advertising more contextual and relevant. It’s not surprising then that among marketers we surveyed, 61 percent believe that mobile is critical to the future of the company. With APAC boasting more than 1 billion smartphone users now, 2017 will see mobile become an even more crucial part of any marketing and advertising initiative across the region. Looking forward, here are five key predictions I believe will move the mobile marketing needle significantly in 2017. The movement away from mobile browsers in favour of apps, especially among Generation Z, will give voice search a significant boost. Coupled with enhanced voice-search apps supported by increasingly sophisticated AI technology such as Siri and Google Now, and greater ownership of wearable devices with voice control, word ads alone may not be enough, and voice search will soon be part of every brand’s search strategy. There are clear SEO and content implications, and mobile marketers will need to rethink how their brands are showing up in voice searches, adapting their SEO keywords based on potential FAQs that might come up during top-of-mind recall. The fundamental question for marketers will be whether they are truly speaking the same language as voice searchers. In terms of overall usage and number of sessions, messaging apps are growing in dominance—Facebook Messenger, Kakao Talk and WhatsApp are some of the world’s leading messaging apps, with WhatsApp boasting more than 1 billion monthly active users (MAUs) this year. With MAUs projected to keep growing in 2017, messaging apps present an opportunity for marketers to engage consumers through content distribution and even commerce. In China, for example, WeChat pioneered mobile commerce through its platform, creating not just a seamless experience for its 600 million MAUs but also another avenue for brands to reach new consumers. Riding on consumers’ love for chatting, brands will also continue to explore more interactive forms of marketing engagement by rolling out chatbots that convey key messages to users in a relatable way. More brands are set to follow in the footsteps of UM, which promoted Sony’s Goosebumps movie with an AI chatbot in Facebook Messenger. So much of everyday life can be accomplished almost instantaneously through mobile these days; you can order a meal through UberEats and it arrives within an hour, you can book a cab through Lyft and it arrives within minutes, you can browse accommodation options on Airbnb and book instantly. As such convenience becomes the norm, mobile marketing or advertising will become ever more contextual, closely linked to ‘just in time’ products and services, for the right location and occasion, as part of a hassle-free experience. 2017 will see more brands across various industries ramping up fulfilment time and prioritising user experience through more sophisticated use of complementary, on-demand technologies that help complete the transaction quickly, from cloud services to mobile CRM systems. To stay competitive, marketers must support their marketing and advertising with on-demand capabilities. This year, we’ve seen how much potential mobile has to offer. But it can be so much more when combined with other media. As new technologies emerge, marketers will increasingly integrate mobile with other platforms to better engage consumers in more creative ways. TV, for instance, can be synchronised with mobile to drive results, especially since 87 percent of consumers engage with a second screen while watching TV. A Nissan case study revealed that serving synchronised ads on mobile to reinforce TV ads can lead to 39 percent brand uplift and increased ad awareness. 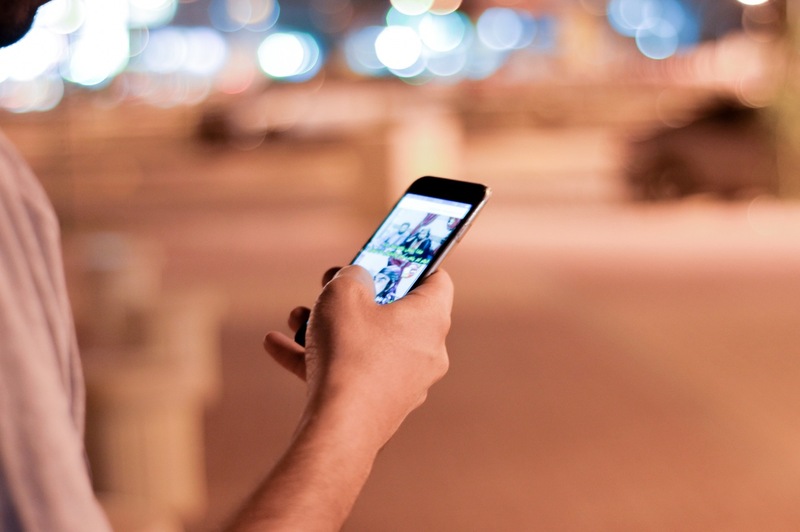 Given such multimedia connectivity, we can expect more marketers next year to integrate the digital and physical worlds via mobile to create interactive and immersive experiences. If the explosive success of Pokemon Go is any indication, advances in virtual reality are set to take the world by storm soon. Another great example is how Nivea fitted its physical magazine advertisements with a phone plug and thin solar cells, and urged consumers to plug in their phones and charge. The result? Millions of media impressions globally and tons of consumers enthralled by the campaign’s novelty. With the heightened popularity of digital wallets such as Apple Pay and Android Pay, mobile payment has been the talk of the town this year. By 2019, digital wallets are predicted to be the most popular payment method, overtaking credit and debit cards, according to a report by payment processing company Worldpay. Convenience of contactless payments is cited as a top reason driving the adoption of mobile payments, and as seen with India’s recent demonetisation announcement, the move to digital currency, especially through mobile, is only a matter of time. Seamless commerce transactions via mobile will soon become the norm as mobile is slated to put a buy button everywhere. We’ve already seen this on Facebook, Google and Twitter, and will certainly welcome more in the coming year. The time is ripe for brands to ensure that their mobile advertising is closely linked to a seamless payment and transaction experience. As smartphone adoption sweeps across APAC and innovative technologies develop, 2017 will usher in unparalleled opportunities for brands and marketers, raising the bar in user engagement and taking mobile marketing to a whole new level.